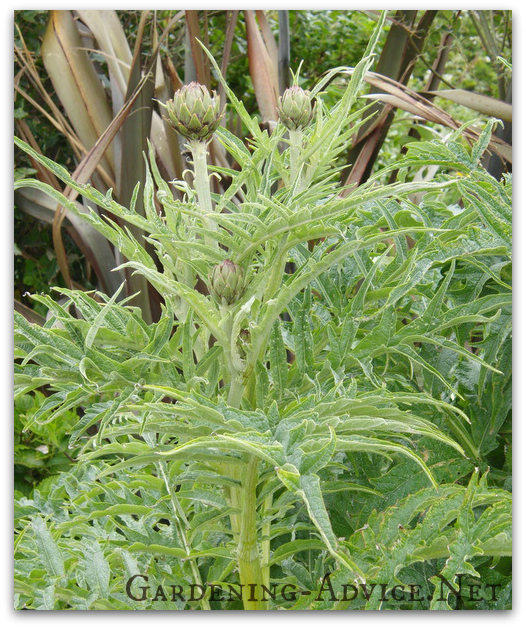 Start growing Artichokes in mixed borders or the vegetable garden for their attractive appearance and edible flower buds. 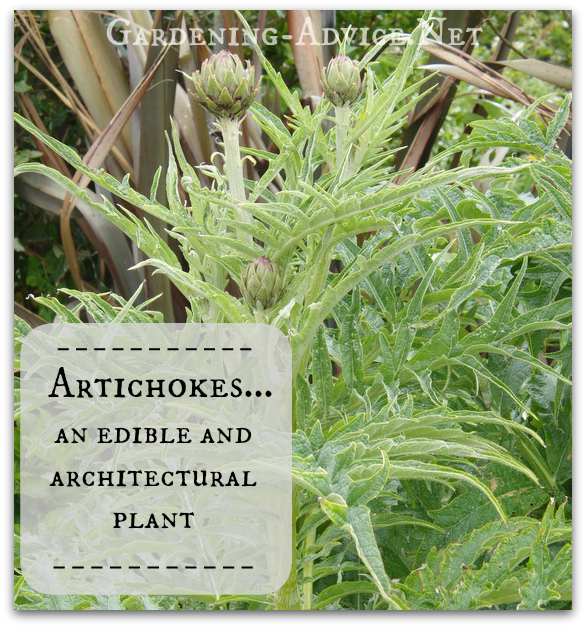 Here are some tips on how to grow artichokes. Artichokes, also called Globe Artichokes are one of my favorite vegetables. I just love them boiled with a little bit of aioli to dip the leaves into. Apart from being an easy to grow perennial vegetable these plants are also a very attractive ornamental with lovely gray foliage. 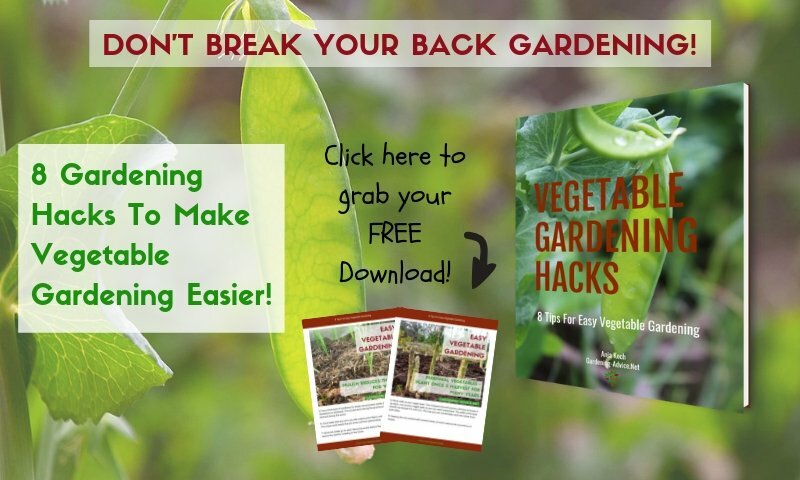 Because they make a sizeable plant that takes up a lot of space in the veggie garden I like to integrate them into my perennial or mixed borders. They make great focal points with their unusual leaves and flowers. Apart from being delicious, they have great health benefits. Did you know that Artichokes contain more antioxidants than blueberries? 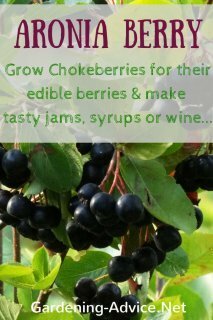 They can also help to keep your cholesterol levels where they should be and they have lots of good dietary fiber! 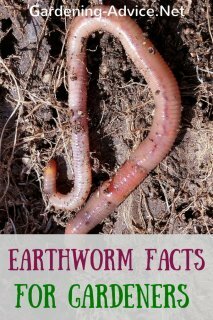 You can learn more about their health benefits here! 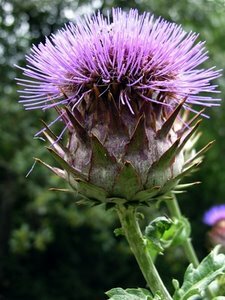 The globe artichoke (Cynara cardunculus) comes from the Mediterranean. The Greeks and Romans have already been cultivating artichokes there. 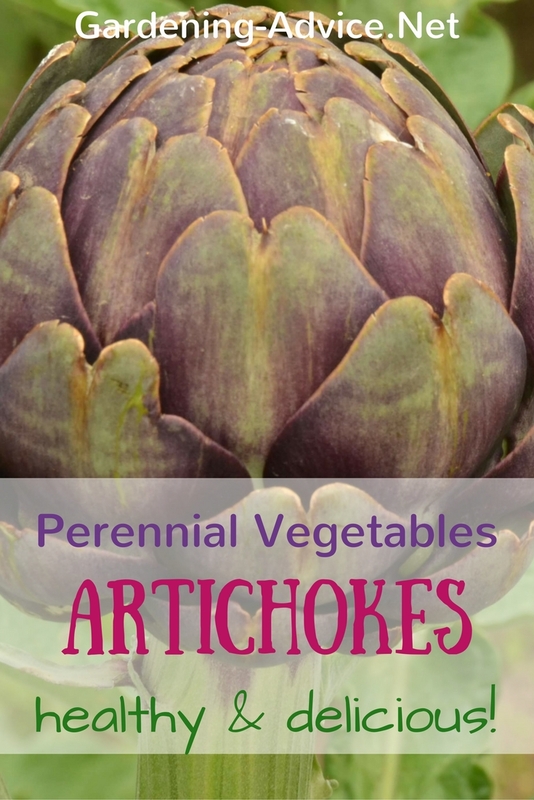 Soil: You need a warm, light soil for artichokes. Being a Mediterranean plant they dislike heavy soils that are wet in the winter. 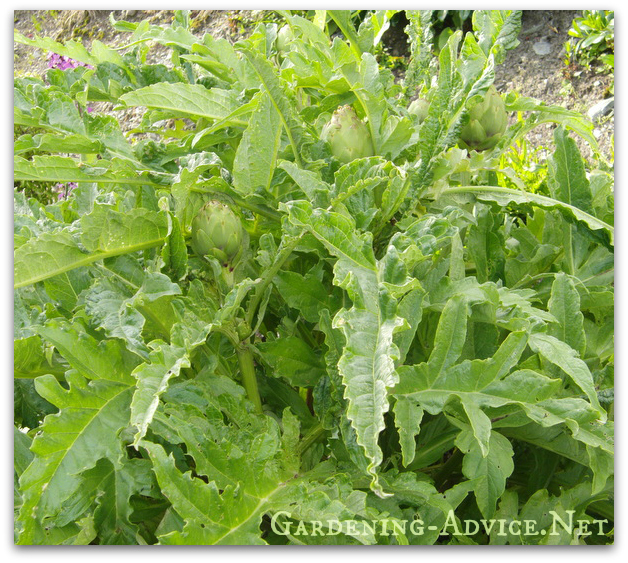 Artichoke plants can be grown in hardiness zone 7 or above. 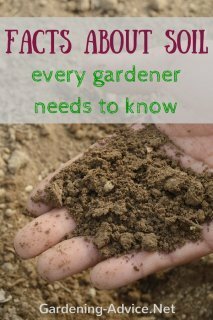 Enrich the soil with plenty of good compost. Adding a thick layer of mulch to protect them from frost helps with growing artichokes in colder climates. Feeding: Cynara cardunculus is a heavy feeder during the summer. 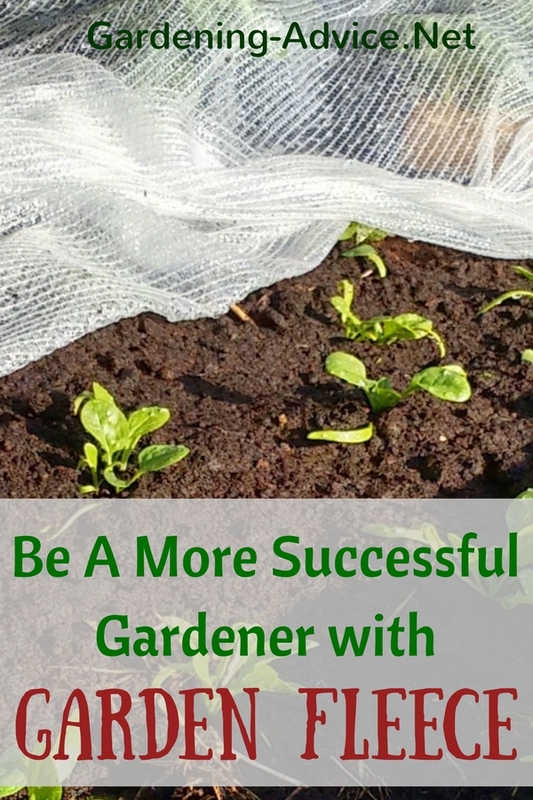 Add some good compost around the plants at the start of the growing season. 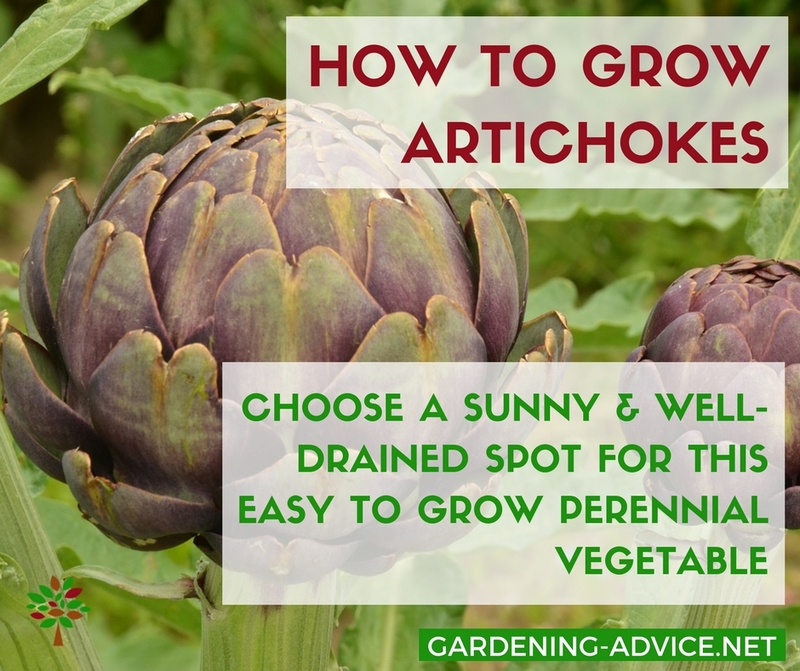 You can start artichokes from seed or take off side shoots from established plants. Plant them out in the spring about 3 feet apart. I start off the seeds in individual small pots or cell trays in the polytunnel during late spring. Once they are big enough they get transferred into larger containers and grown on until they are ready for planting out. I find that larger plants have a better chance of survival. 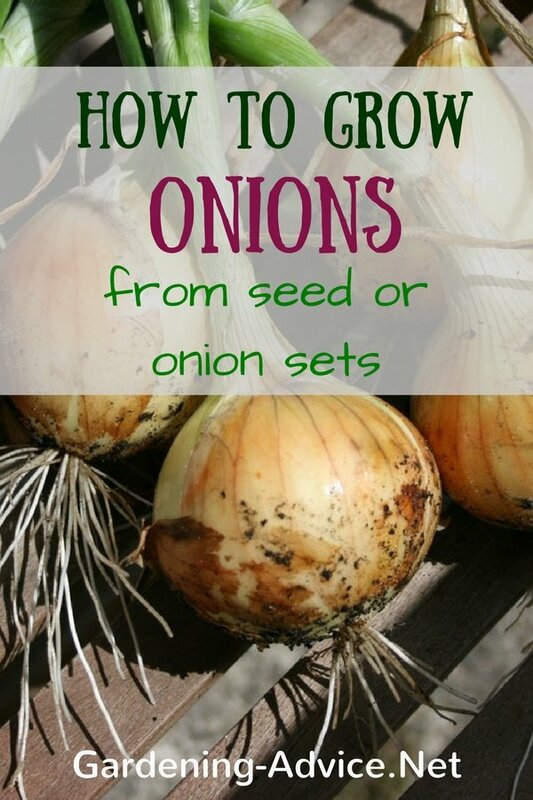 You might harvest only a few heads at the end of the first season. 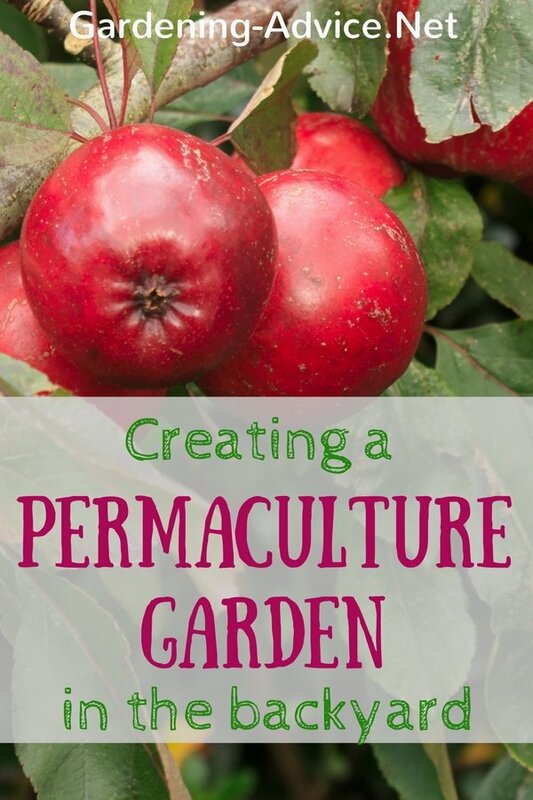 The plants are perennial and should produce for three to four years. The most popular variety is Green Globe which makes a lovely big, green artichoke. Other popular varieties are 'Violetta' or 'Purple Roscoff', a purple artichoke with a more spiny, elongated red head.